John Hall, Ph.D. holds 11 patents in laser technology and was a co-recipient of the Nobel Prize for Physics in 2005. 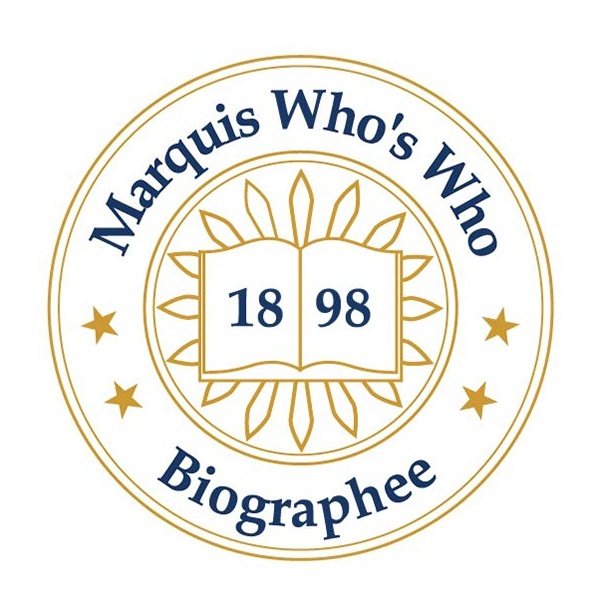 BROOMFIELD, CO, August 24, 2018 — Marquis Who's Who, the world's premier publisher of biographical profiles, is proud to present John Hall, Ph.D., with the Albert Nelson Marquis Lifetime Achievement Award. An accomplished listee, Dr. Hall celebrates many years of experience in his professional network, and has been noted for achievements, leadership qualities, and the credentials and successes he has accrued in his field. As in all Marquis Who's Who biographical volumes, individuals profiled are selected on the basis of current reference value. Factors such as position, noteworthy accomplishments, visibility, and prominence in a field are all taken into account during the selection process. With more than 50 years of professional experience, Dr. Hall has been an adjunct professor and senior fellow emeritus of the National Institute of Standards and Technology, formerly the National Bureau of Standards, since 2005. He previously served the institute as a senior scientist from 1975 to 2004, as a physicist from 1962 to 1975, and as a postdoctoral research associate from 1961 to 1962. In addition to his primary roles, he served as a lecturer at the University of Colorado Boulder and as a consultant to the Los Alamos National Laboratory, as well as numerous firms in the laser industry, and more recently as Professor Adjunct in Physics at the University. Dr. Hall was inspired to pursue a career in the field due to an interest in radio electronics from an early age, and he was encouraged by his father who also had an interest in radio electronics. He began his career as a student at Carnegie Mellon University, where he earned a Bachelor of Science in physics in 1956, a Master of Science in physics in 1958, and a Doctor of Philosophy in physics in 1961. In addition, Dr. Hall holds honorary doctorates from Carnegie Mellon University, The Ohio State University and the University of Paris. A respected voice in his community, Dr. Hall has been affiliated with numerous organizations in relation to his areas of expertise. He has been recognized as a Fellow and Honorary Member of The Optical Society of America, and he is a Fellow of the American Physical Society and a member of the National Academy of Sciences since 1984. Dr. Hall was the editor of “Laser Spectography 3,” and he has contributed myriad articles to professional journals and holds 11 patents in laser technology. Throughout his career, Dr. Hall has been recognized for his contributions, having been a co-recipient of the Nobel Prize for Physics in 2005. He received the IR-100 Award from IR Magazine twice, the National Bureau of Standards Stratton Award, the E.E. Condon Award, and the Gold Medal from the Department of Commerce thrice. He has twice received the Presidential Meritorious Executive Award, and he was given the Meritorious Alumnus Award from Carnegie Mellon University, the Humboldt Senior Scientist Award, the A.V. Astin Award from the National Institute of Standards and Technology, and the Rabi Award from the Institute of Electrical and Electronics Engineers. The Academy of Achievement gave him a Golden Plate Award, the California Institute of Technology recognized him as a Sherman Fairchild Distinguished Scholar, and he was named a Knight of the French Legion of Honor. Dr. Hall has been featured in numerous honors publications, including multiple editions of Who's Who in America, Who's Who in Science and Engineering, Who's Who in the West and Who's Who in the World. In his free time, he enjoys photography, travel and inventions. In recognition of outstanding contributions to his profession and the Marquis Who's Who community, Dr. Hall has been featured on the Albert Nelson Marquis Lifetime Achievement website. Please visit www.ltachievers.com for more information about this honor.